As bloggers and solopreneurs, we’re always trying to save money. And the holidays are coming upon us fast! So that’s why this annual list here has become more and more popular. Let’s dive in and see what’s on offer this holiday season! (P.S. I’ve added both “NEW” and “UPDATED” labels to all new products over the weekend)! I’ll be keeping this page updated throughout the weekend (and Monday) as deals expire and new ones come on (remember, some deals are not allowed to be shared before they actually go on sale) so keep checking back. I’ll add NEW or UPDATED by any updated items so you can locate them quickly. Pay attention to the times and time zones. Use this easy time zone converter! Note: Some links below are affiliate links (denoted by one asterisk) which means I’ll receive a small commission (at no additional cost to you) if you make a purchase through my link. You can read my full disclosure here. The Deal: 75% off all shared hosting plans!! The Dates: Starts at midnight Friday, November 23, 2018. Finishes on Tuesday, November 27, 2018, 00:00 CST. Another option for a WordPress host for quick and cheap start up. Bluehost personally contacted me recently and let me know that they have significantly improved their customer service this year based off of previous complaints as well as upgraded their servers to allow for better uptime. The lowest rates of the year, starting at $2.65/mo. THE cheapest place for domain names, hands down. This year Namecheap is doing a Black Friday game, new deals go live every hour, and are in limited supply. How fun! 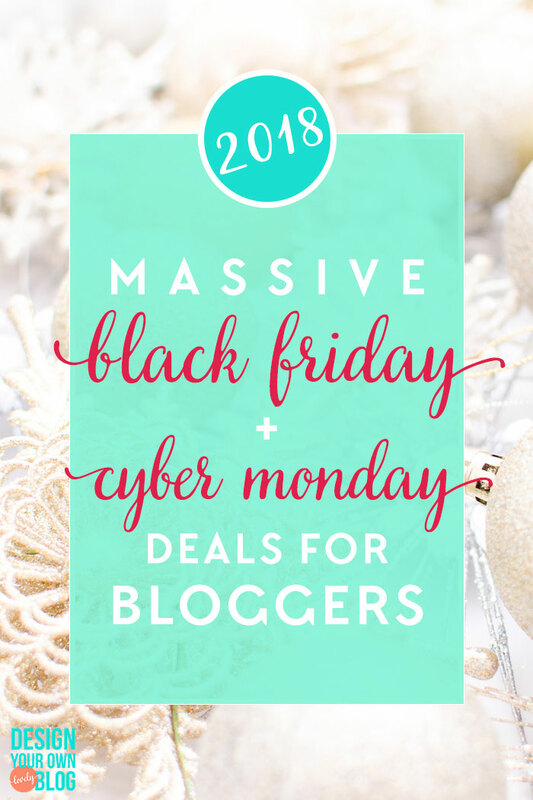 The updated list of #BlackFriday #CyberMonday deals for bloggers! The Deal: Sign up for a Haute Stock Membership at $100 off the annual price! The Deal: Become a Pixistock member for 40% off the original price. That’s as low as $23/month. It’s your last chance of 2017 to “stock up” on all of the styled stock images you need to do business beautifully for next year! 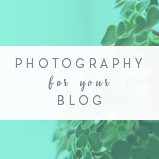 Specializing in photos for the wellness business community with subjects like food and nutrition, spa and skincare, mind and body. Non-cheesy, Christian based stock photos. The Deal: All Subscription plans and Pay-As-You-Go Download packs are 30% off on the site. One of the big stock photo sites. The Deal: Save 25% on every subscription. Enter Gift Code “CYBERMONDAY” at checkout. The Magical Christmas Creation Bundle* is also on sale right now at just $29. An absolute must-see, this holiday bundle is one of the most gorgeous sets I’ve seen in a long time! The Deal: Save 50% off 50 products on Black Friday Nov 23. The Dates: Black Friday discount and Special Cyber Monday deals all day long. Sign up here to get in on the fun! 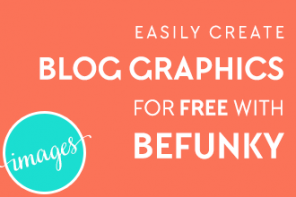 Great deals on graphics and graphics bundles. A great resource for cheap but quality fonts! Amazing daily deals on all your design needs. Save an additional 25% off now! 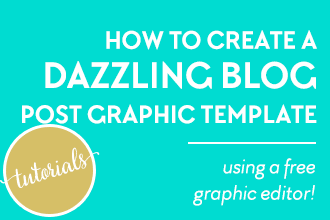 A great place to grab whatever graphics you need: logos, templates, stock photos and more. 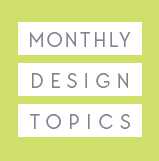 Any graphic asset you could want: themes, logos, graphics, textures, fonts, templates. Plus 6 freebies every single week. Another graphic shop with thousands of assets in any style, color, flavor you want. 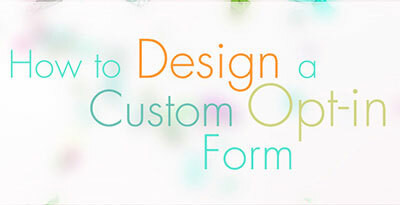 Specializing in mockup scenes to display designs and products. Smartmockups lets you create stunning marketing images without using Photoshop in no time. 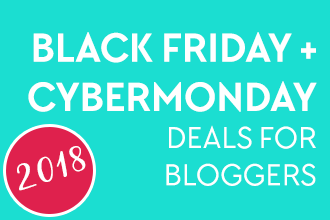 #BlackFriday #CyberMonday deals on #WordPress themes, graphics, stock photos and more for bloggers! 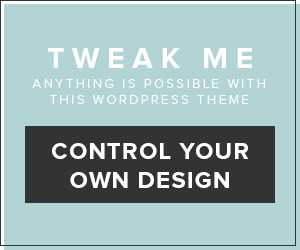 The Genesis Framework for WordPress themes are some of the best around! Now you can save on all StudioPress WordPress themes in a big way! – Get $100 right off the top of their popular Pro Plus All-Theme Pack (valued at $2300+). You get all 35 StudioPress themes plus all future themes! – PLUS… as an existing customer, you get an additional 25% returning customer discount! The Deal: EVERYTHING at PrettyDarnCute.com is 45% off today. 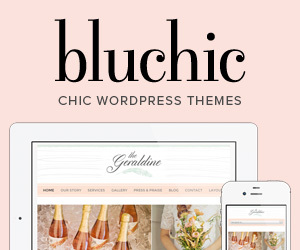 Grab a bundle of beautiful WordPress themes for less than $15! Fabulous feminine Genesis themes. A copy of the Genesis for WordPress framework* is included when you buy! Themes and templates for Divi (a WordPress builder), ProPhoto or Showit. Plus courses on Smarter Facebook ads and Build your own website with Divi or Showit. The Deal: 50% off courses (limited spots available). Once those spots are gone, you can still save 33% off courses AND 33% off all templates and marketing resources! The Elementor Pro page builder is one of the most advanced page builders for self-hosted WordPress out there today. 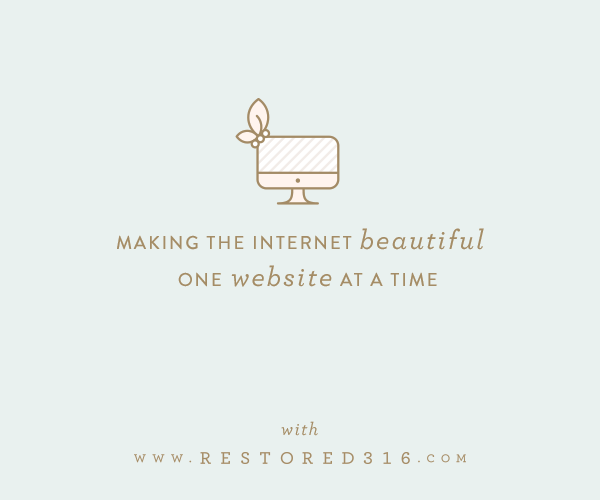 It’s what I’ve been using on my freelance websites this year to make beautiful fully custom laid out websites! The free version is pretty amazing on it’s own, but if you want to step it up a notch and get even more functionality, then I highly recommend checking out the Pro version. Save 25% off Elementor Pro! Astra is a perfect theme to use with Elementor. The two together make a great team! The Deal: 30% discount on all products. Coupon code: BLACKFRIDAY2018 (auto applied). If you use the Elementor Builder to layout your WordPress blog, then you’ll want the Elementor Essential Add-Ons plugin to add a whole bunch more functionality to your blog. Normally you pay $25/year or $199/lifetime for a license, but you can grab a lifetime license for just $79.97! Thousands of themes, graphics and so much more! 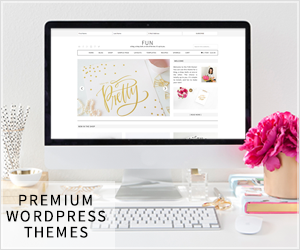 Elegant themes are some of the best around and that includes the ever-popular Divi theme. 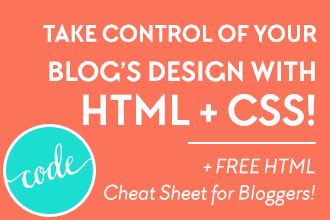 The Deal: Save HUGE on membership and get exclusive Divi Layout Packs. Everyone who purchases a new membership and everyone who upgrades their account to lifetime will walk away with an awesome bonus gift. 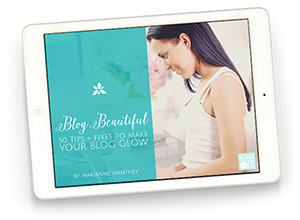 Feminine WordPress themes and Blogger templates and branding packs. 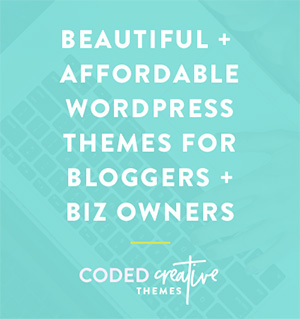 The Deal: 50% off off themes, templates, branding packs. Other discounts as well. 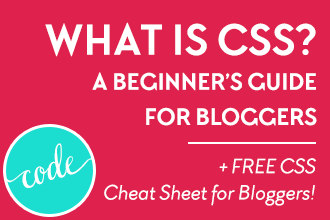 Crush CSS is Code School for Bloggers and it’s my step-by-step program to help bloggers like you learn HTML and CSS fast so you can get to beautifying your blog quickly. 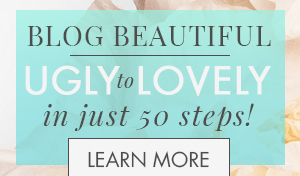 It’s written just for bloggers with real world tutorials for design changes you specifically face day to day. The Dates: Purchase Crush CSS now through Monday November 26. No code necessary, you will receive an email with access details after purchase. Oh boy! This sale only comes once a year so if you’ve been wanting to sign up, now’s the time to do it! Adobe Creative Cloud of course includes Photoshop, Illustrator, InDesign, Acrobat Pro and so many more awesome programs a blogger can’t live without. The Deal: Adobe is offering various deals on Creative Cloud products. Deals are starting at 25% off and can go up to 70% off (for students). ConvertKit is THE email service provider built just for bloggers. It’s what I use and love. Grab the Creator Start Kit today from Convertkit and you’ll receive 12 months of Convertkit, a 90 day trial of Teachable (the best online course platform), lifetime access to Creator Pass (a suite of business education and resources), 6 email sequence templates that you can copy straight into your ConvertKit account and use immediately, the I Am A Blogger book and Authority ebook! That is A TON of stuff for a low price!! 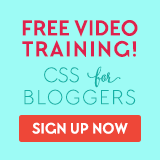 WordPress video school. Learn everything you need to know about WordPress. Try the free ones first! The Deal: Enter coupon code: SAVE50 at checkout to save 50% off any All-Access Pass. Teachable is the best online course software out there. You want to offer a course? Then you definitely want to use Teachable. It’s the nicest looking and the easiest to use (for both teacher and student). At Fizzle, their mission is simple: to help you earn a living independently doing something you care about. 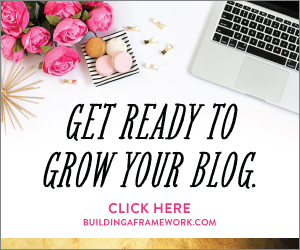 They make courses featuring big name experts for bloggers, podcasters, freelancers and independent entrepreneurs of all kinds. 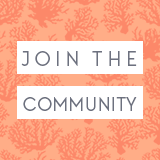 I’m a member of Fizzle, ask me if you want to know more. The Dates: Now through ?? 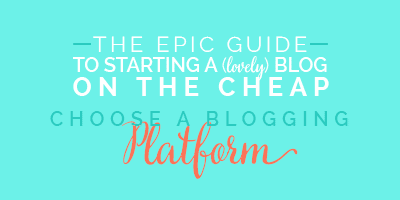 ConvertKit is hands-down the best email service provider just for bloggers! 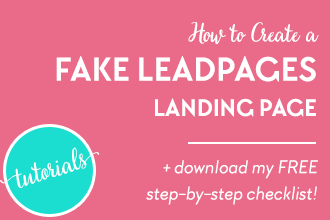 Create multiple lead magnets, manage and segregate your list like a boss! Lena Gott has an incredible sale going on for bloggers this weekend! Grab her products individually at 40% off or grab em all for 50%. The retail price of all of these guides combined is $226. You can get them for the duration of this sale for one payment of $118. The 50% discount is reflected in the price. The Dates: Now until 11:59 p.m. on Cyber Monday, Nov. 26th. Find all sorts of classes in all kinds of topics! The Deal: Get 3 free months premium courses for .99! 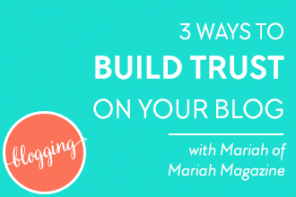 Creating quizzes on your blog is a great way to get opt-ins! AppSumo offers amazing lifetime deals specifically geared towards those who work online. The Deal: Six of their best deals for one day. Details here. GoWP is a an awesome service for bloggers on self-hosted WordPress. They manage all the backend for you like weekly backups, updates, security monitoring and more so you don’t have to. The Deal: 50% off for LIFE on their monthly Maintenance plan. Use code AGENCYFRIDAY at checkout. 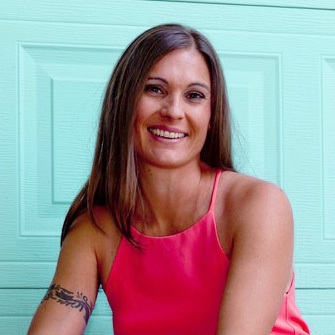 Author Abby Lawson is an expert on making a living off of blogging. If you want to get started, grab her handbook. She is also offering a Fast Action Bonus today only!! Everyone who purchases today, Friday, November 23rd, will receive our Christmas/Holiday Planner (a $15 value) absolutely FREE! These guys have been the category leader for training and services to content publishers and affiliates for 5 years straight. Hundreds of site owners have already sworn by their services and this Friday they’re offering some big discounts and bonuses. 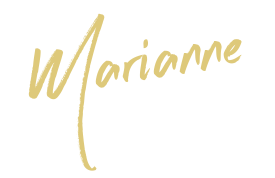 – 47% off the “Human Proof Method”, their flagship training and 500+ private community. 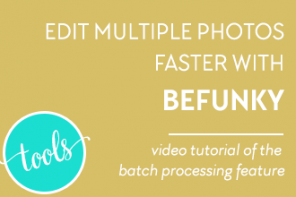 – Plus, 10% off their content services… Forever! Save on List Surge, Pinfinite Growth and Blog to Biz Hive. Big savings if you buy all three. Creative Live has a huge collection of courses made just for creatives and solorpreneurs on topics like photography & video, money & life, craft & maker, art & design, music & audio. Save over 50% on Courses! These Black Friday / Cyber Monday deals also make great holiday gifts for you or other bloggers in your life! And of course don’t forget that Amazon* makes an awesome place to find what you want for the holidays! Keep checking back throughout the weekend because I’ll be updating this list as the deals come in. Got a list of your own? Feel free to link to it in the comments below. Got a deal you’d like to add to this list? Contact me here. Share this list with your friends, use one of the handy button below my signature! Previous articleEdit Multiple Photos Faster with BeFunky! This is quite a list! I updated my Holiday Gift Guide for Bloggers list too. 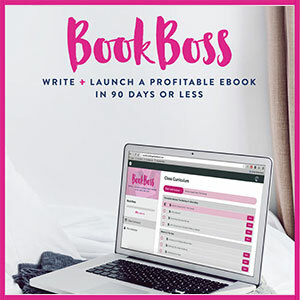 I’d really love Haute Chocolates stock library and to read GirlBoss. 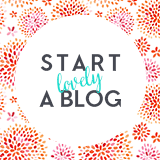 My favorites include the new theme I got from Hello You Designs that I absolutely love, New Blog Hosting for $10/year hosting for life and well I’m getting ready to launch my free 2017 blog planner. Hi Tanya! Geez I’m reading this too late, but who did you get your hosting from? That’s way cheap! Going to check out your guide now too. Creative market is really good place for shopping amazing graphics, fonts, themes with black Friday sales. Here they we can meet to massive discount for our tools and products. Eventually, thanks for sharing your information regarding this wonderful topic. Does Bluehost have a responsive customer support? Could they be contacted via chat or email? I’m actually planning to put up a new website for myself and I’m at a loss on which host provider I should choose. Hi Sammy, Bluehost does have live chat as part of their support. Siteground does also. In the last year I have had more experience with the support from Siteground which has been amazing and they don’t cost that much more than Bluehost. However, if saving money is a deciding factor, you might try hitting up Bluehost’s chat support to get some basic answers and see if you are satisfied with them. Hope that helps! Let me know if you have further questions. The list you have been collected is really appreciable. I can expect that it will takes much time and effort for the things which you had put in your content. 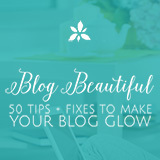 Your content is most helpful to the new Bloggers. Is it necessary to have “WP Affiliate Plugin” if we are dealing with an affiliate website? Please lest me know your response as because I’m planning for affiliate marketing in upcoming year. Hi! The plugin is only if you want to offer an affiliate program for your own products so that others can help you sell them. Does that answer your question? I found many useful cyber Monday deals here but unfortunately, they are expired right now. Thank you, Marianne, for writing on this amazing Topic. I think the happiest & chill time for most of the bloggers is Black Friday Deals and that’s because this is the time for them to save money on every blogging-related tools. Thank you again here for helping me find resources for Black Friday Deals! Yeah that’s a bummer they didn’t offer anything. I would have liked a deal too. Hope you found some other good ones though! Some discounts still working, probably until the end of the Month. I will search for some WordPress Themes in these sites to see if I can found some that worth the price. 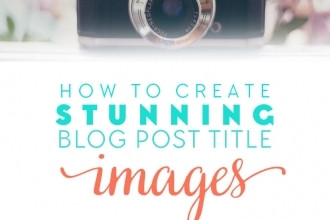 Amazing guide for the blogger. Very very informative article. Thank you so much.